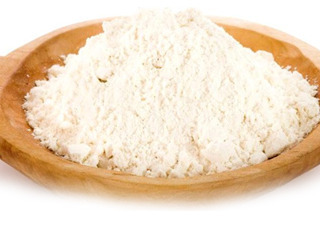 We are leading manufacturer,exporter and suppliers of Potato Starch powder. Potato starch contains typical large oval spherical granules; their size ranges between 5 and 100 μm. Potato starch is a very refined starch, containing minimal protein or fat. This gives the powder a clear white colour, and the cooked starch typical characteristics of neutral taste, good clarity, high binding strength, long texture and a minimal tendency to foaming or yellowing of the solution.We can supply in bulk quantity. As per requirement we pack this product very carefully, using high grade packing materials at par with global standards. We make available this product at very affordable rates as well as we offer time stipulated delivery of our products to our customers. We “ Calensa Agro Biotech Private Limited”, are manufacturer, supplier, wholesaler, trader & exporter of Fruit Powders, Vegetable Powders, Spice Powders & Herbal Powders.we are giving services to Hotel Industries,pharmacy,food,beauty & cosmetics industries. All the products are processed under hygienic conditions.